Minor injuries reported in CTA bus crash on South Side on September 14, 2015. 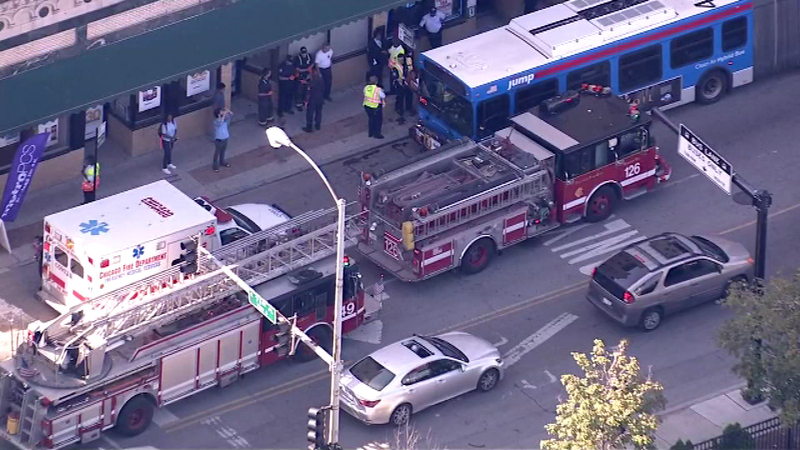 CHICAGO (WLS) -- Several ambulances were sent to 71st and Jeffery on the city's South Side after a CTA bus driver applied the brakes suddenly. As many as 10 people suffered minor injuries, CTA officials said. The Chicago Fire Department says three people were taken to hospitals to treat minor injuries, two to Jackson Park Hospital and one to Trinity Hospital. The J14 bus was headed southbound. Officials did not say why the driver hit the brakes.